Food and fun is a much desired mix. 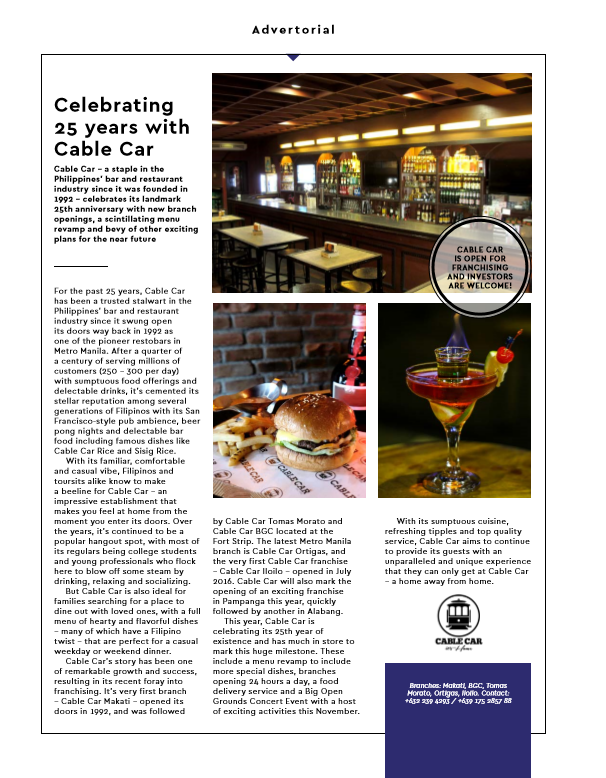 At Cable Car Bar and Restaurant, this combination has been its secret formula in ensuring its niche in the industry. Proof of this is its recent celebration of its 25th anniversary via new branch openings and a menu revamp. 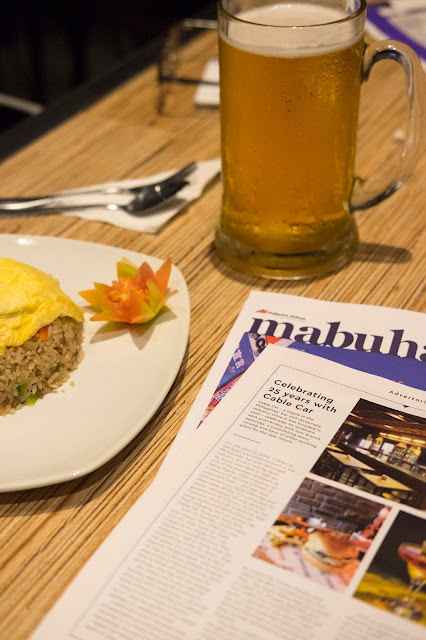 Appearing on page 132 of the 164 page magazine's March 2017 issue of Philippines Airline's much-loved inflight magazine, Mabuhay, is the advertorial of Cable Car, one of the Philippines' well-loved bar and restaurant. It first opened its doors to the public with its Makati branch in 1992. 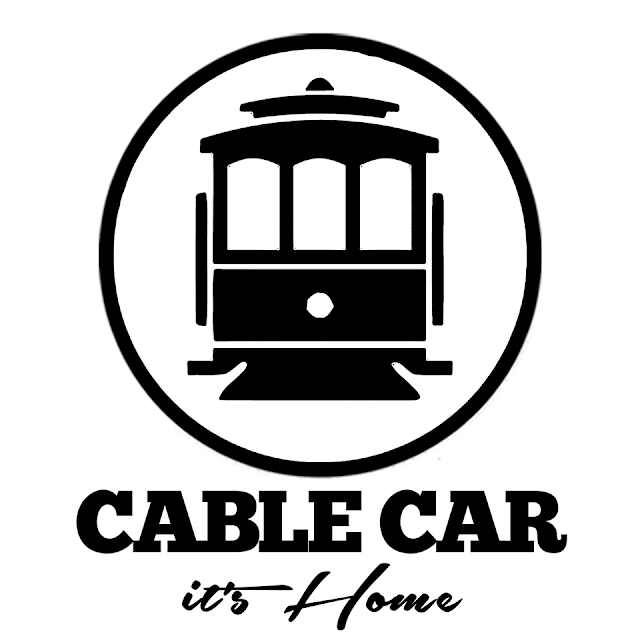 Cable Car now has a total of five (5) branches: 4 in the metro area located at San Lorenzo in Makati, the Fort Strip in BGC, Tomas Morato in Quezon City and Ortigas in Pasig and one branch in Mandurriao in Iloilo. Franchises in Pampanga and Alabang are expected to open soon.